The Ace photoetch set for the ICM I-16 is definitely the best photoetch set for this kit. Looking over all three sets (Extratech, Part and Ace) the Ace includes almost everything the others do, plus a number of others. As with the Part set it comes with full sidewall detail for both sides (including all knobs, buttons and levers) and as the Extratech set it comes with the correct representation of the shoulder harness as well as the gun sight. In addition, Ace comes with replacement flaps, if that's something one wants to display in a "down" position. While the image doesn't show it, the Ace set does come with the usual film for the instrument panel. 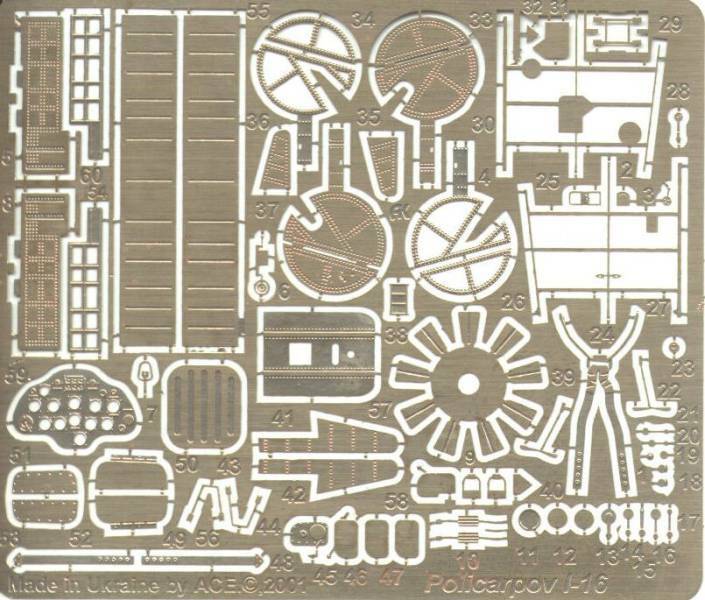 In looking over all 1/72nd I-16 photoetch sets (including the (as far as I know) out of production, inaccurate Eduard set for the Hasegawa kit) the Ace set shines, and is highly recommended over all other 1/72nd I-16 photoetch sets. The photoetch is a little thinner than the others, and the attention to detail is fantastic. The saving grace with the Extratech set are the actual "bulkheads" provided, giving the cockpit a little more of a 3-D look. The saving grace with the Part set is the availability. 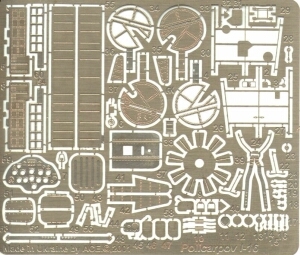 If Ace can find a world-wide distributor for their photoetch sets (they also make 1/72nd modern Soviet and Russian armor) then I can see their photoetch line really taking off. If you build a lot of I-16s like I plan on doing, then you really need to track down this set for yourself. My thanks to Ace for providing the review sample.